Pinterest has grown to be something to reckon with in the social media world in fact it is accumulating great influence not only in incorporating fresh products for people in a visual business place, but also in increasing product sales. Different studies show the powerful influence of Pinterest on the purchasing actions of individuals. Why Pinterest is considered Unique? In reality, consumers are inspired to purchase as a result of what they see. People are completely interested in the physical look of a product, the way it functions as well as the ways it will be useful for them. Importantly, everyone is always pleased to realize that their products are liked and also appealing to others. This knowledge of admiration by others inspires people to find out more about the latest trends and prompt marketers to update themselves about the future factor one can implement to improve on their products. Pinterest is built in an ideal way to satisfy all demands and as an entrepreneur; you can obtain some benefits through this. Pinterest is used essentially to obtain variety of lists of subscribers for driving the desire for products in customers’ mind. Why Pinterest for Holiday sales? 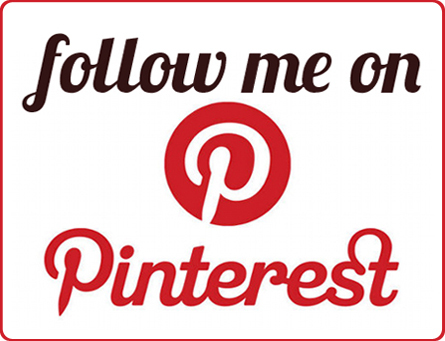 Pinterest is just one of the recent, and hottest, social media platform after Facebook and Twitter. The site’s major demographic is women with families, aged 25 – 34. And they are obsessed exploring and pinning lots of pictures routinely using the website. You should know that most pinners are potential buyers; one out of five will buy an item they’ve pinned eventually – either online (12%) or offline (16% of them), based on web research. This means if you own a store along with an ecommerce site, it is possible to expect engaged pinners to visit your place of business. Pinners who pay for items from Pinterest referrals or downlines explore the website approximately 27 times in a month. They are searching for products to add to their wish list boards and are often “first touch” contacts whose first impression of your business happens as a result of your pins. Pinterest essentially keeps track of the internet behavior of its subscribers, until they unsubscribe. This implies that not only is their home page filled with pictures connected with their boards, this also features images related to their offsite browsing. Timing for a pin isn’t as significant when compared to a tweet. Research company reveals that many tweets are only useful for few moments after posting .But Pins, stays up for several months. They remain vital far longer time due to the fact their visibility is virtually timeless, as opposed to tweets, which are gone in no time. Even though timing is not necessarily crucial, it is advisable to take advantage of the holiday season as quickly as possible. Mothers gets on Pinterest and visit different discussion boards for cheap deals and gifts once their children are back from school. Your product or service can be pinned now and ordered a month later, as a result the earlier you start showcasing holiday products together with holiday special deals, the better. Plus, this offers you enough time to research the metrics of which pins/boards are common to drill down onto your social media marketing strategy. Creating Pinterest account the ideal way, utilize Pinterest to boost your holiday sales and enhance the relationship with your prospects. The graphic features of Pinterest have been tested to appeal to users to become paying customers. By actively participating on Pinterest, your business can get tons of benefits including extra traffic and much better sales growth. Making use of Pinterest is an excellent approach for advertising your products for increased holiday sales. It’s imperative that you integrate that technique with your business goals to increase holiday sales. It is now time to get your holiday sale technique set. The guys from Lilo Web design brought you this amazing article on the use of social media like Pinterest to increase your online sales. Lilo is a web design agency based in London, United Kingdom.